Like their counterparts around the world, Saudi Arabian consumers are hungry for mobile services. The most recent available government data showed that the country had a mobile subscription penetration rate of 176.9 percent in 2013, and that figure is only expected to grow. Mobily, for one, now stands to benefit from this mobile service appetite after improving its service architecture. As we described in our new book, Operation Nexterday, Mobily successfully addressed several back-office inefficiencies, enabling the operator to capitalise on the demand for mobile services. The company embarked on an ambitious plan in 2011 to re-engineer its entire service architecture for better flexibility, improved cost efficiency and faster time-to-market. Mobily has enjoyed steady growth in its customer base since launching in 2005, boasting 18.2 million mobile subscribers in its 2013 annual report. As we cover in Operation Nexterday, today’s consumer wants a multi-channel, automated, personalised, instantaneous digital buying experience. Generation Cloud wants services that move at their speed, and acknowledging this reality, Mobily decided to evaluate its back-office infrastructure to ensure it was well-positioned to serve these customers. Mobily historically had developed its operation and business support systems (OSS / BSS) internally. In-house departments often developed applications independently of other parts of the company, which could sometimes result in out-of-sync design principals, inconsistent process terminology and redundant applications. This could complicate new products or services launches, which encouraged Mobily to seek out a simplified service architecture. Mobily committed to a service overhaul in 2011. The operator relied on TM Forum standards as a framework to document its existing process flows, gaps and redundancies, which made it easier to develop a strategy to address those weaknesses. That was followed by a switch to a new Comptel service orchestration platform, which offered a consolidated, simplified and automated operational back-end. After the revamp, Mobily was able to reduce operational and support costs and ensure faster time-to-market. Execution timelines for new product launches were reduced from two days to 30 minutes, and fulfilment order processing shrank from 15 minutes to 10 seconds. The initiative unlocked $95 million in direct operational savings, but most crucially, it allowed Mobily to establish a more flexible foundation for service development. Today, Mobily is in a much better position to address the needs of Generation Cloud and profit from a dynamic digital buying experience. Download this case study from Analysys Mason to learn how Mobily re-engineered its service architecture with Comptel OSS Solutions. Comptel’s Strong Start for 2015! Posted: April 24th, 2015 | Author: Juhani Hintikka | Filed under: News | Tags: business review, financials, intelligent data, service orchestration, strategy | Comments Off on Comptel’s Strong Start for 2015! Comptel’s net sales and profit grew significantly during the first quarter of 2015, which continued the trend from the second half of 2014. Our European operations especially continued strong sales in Q1. Our FlowOne Fulfillment solution continued, as in the last year, to be our main growth driver. We were also awarded a deal with a new customer in Indonesia, together with our strategic partner, Tech Mahindra. Strategically, this was an important deal, as Indonesia is defined in our strategy as one of our target growth markets. Our backlog continued to be strong with a 32.3% increase compared to the previous year. In Q1, we invested in development areas as defined in our updated strategy. Despite our investments, profitability continued to improve, and our operating results grew 55.7% year over year. During the first quarter, we secured three significant orders, valued over EUR 0.5 million. A few Q1 forecasted orders were delayed to the beginning of Q2. Comptel’s net sales increased in the first quarter by 16.3 per cent from the previous year, to 21.0 million (18.0). The net sales increase was due to the strong backlog at the end of the year. European sales continued with strong growth as in the second half of last year. The operating result for the period was EUR 1.5 million (1.0), which corresponds to 7.1 per cent of net sales (5.3). The profitability improvement is all attributable to the growth in net sales. The result before taxes was EUR 0.8 million (0.8), and the net result was EUR 0.29 million (0.15). Net profit improved by 92.3 per cent. Earnings per share for the period under review were EUR 0.00 (0.00). The Group’s financial income/expenses were EUR -0.7 million, which is a result of US dollar long-term strengthening. The tax expense for the period was EUR 0.5 million (0.6), of which EUR 0.3 million were withholding taxes related to double taxation (0.7). The Group’s order backlog increased from the previous year and was EUR 55.8 million (42.2) at the end of the period. Life is digital moments. Digital demand will be driven by “Generation Cloud” customers and enterprises interacting with millions of digital applications. The Internet of Things with billions of connected devices will further accelerate digital demand, leading to exploding data volumes. Future mobile and fixed networks will provide hyper speeds and undergo a transformation from hardware to software. Network functions will be virtualised. Mounting complexity will require orchestration of business flows and virtualised resources. 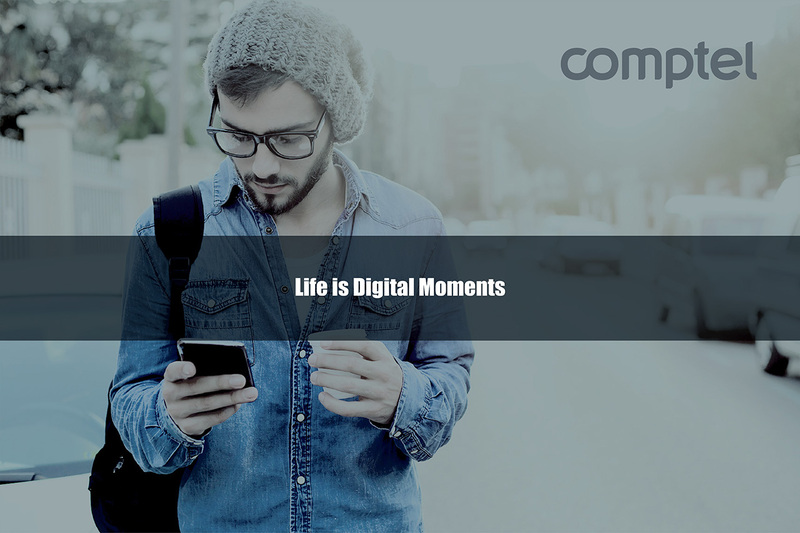 Comptel’s mission is to perfect digital moments and translate them into business moments by connecting digital demand and supply. The Comptel strategy focuses on providing solutions for digital and communications service providers in two major areas – Intelligent Data and Service Orchestration. The Intelligent Data business delivers solutions and services to customers for monetising data and turning Big Data into intelligent, automated actions. The Service Orchestration business area provides solutions and services for business flow orchestration and mastering the digital buying experience. Comptel’s strategic target is to establish itself as a leading software vendor for connecting digital demand and supply. Strategy execution is based on six strategic objectives: solutions with unique value, thought leadership, customer excellence, new markets, leverage by partners and inspired people. Comptel´s marketing strategy strives for industry thought leadership on carefully selected themes and topics which are: the digital buying experience, monetising more with less time, orchestration of service and order flows from ground to cloud, and intelligent fast data. The essence of Comptel’s thought leadership is captured in the book, Operation Nexterday, that was launched at Mobile World Congress in March 2015. We expect 2015 net sales to grow compared to the previous year, and we expect operating profit to be in the range of 8-12%, excluding one-time charges. From the milkmen who delivered dairy in the early 1900s, to the earliest pizza delivery services of the 1960s, to the shipments of furniture, mail and much more straight to your door, home delivery is nothing new to consumers. However, sometimes taking a proven concept and applying it with a new context is all it takes to create fresh buzz. That’s what U.S. mobile operator Sprint hopes to do with its new Direct 2 You service. Announced last week, Direct 2 You aims to “bring the store experience” to customers, who buy or upgrade their Sprint mobile phones, according to the company. A Sprint customer service specialist – driving a Sprint-branded van, of course – will hand-deliver the new phone wherever the customer wants, whether at home, the workplace or even the local Starbucks. Once on-site, the Sprint specialist can help the customer set up the new device, transfer files and data from an old phone, initiate backups and walk through features. Sprint also offers to buy your old phone as part of its trade-in program, and representatives will be able to value the old device on the spot during the in-person visit, the company said. Though the entire program may seem old-fashioned at first glance, Sprint is actually demonstrating its savvy regarding modern consumer demands. This personal touch is the exact right approach for operators trying to appeal to Generation Cloud, who, as we explain in our new book Operation Nexterday, prefer to shop on their own terms. Our recent survey of consumer digital buying preferences reveal 65 percent prefer to purchase digital content and services at their convenience, while 60 percent are influenced to buy by tailored recommendations from their operators. Sprint’s home delivery service addresses several of these preferences. Customers are empowered to set the terms of their delivery and aren’t pressured to buy add-ons they don’t want. Our survey made it clear that consumers today are highly resistant to any service experiences that feel forced, and that they won’t hesitate to switch away from digital and communications service providers they feel are too aggressive with offers. A personal support experience also matches customers’ desire for tailored service. Best of all, the entire service makes it faster and easier for consumers to purchase the latest technology. They know exactly when and where their new phone will arrive, and if Sprint is able to meet its delivery times consistently, that should limit customer frustration and increase their speed-to-satisfaction. Direct 2 You is a step in the right direction for Sprint, which is showing it won’t stand idly by as its closest competitors try to win market share through other customer-first service offerings. And the program is a prime example of the type of creative thinking other operators will need to embrace if they hope to win customers’ hearts and minds—and wallets—in the era of Generation Cloud. Learn more about the factors influencing Generation Cloud’s purchasing habits—and the strategies operators must embrace to succeed—in our new book, Operation Nexterday. I recently discussed this with Kelsey Hubbard in an interview for the NASDAQ CEO Signature Series – you can watch our full conversation here. As I explained to Kelsey, consumers and businesses today are surrounded by a wide range of technological capabilities that never existed before – from hyper-connected smartphones, to smarter applications, to high-speed networks, to cloud computing, to Internet-enabled devices and much more. With all of this technology at their fingertips, customers are becoming better connected and more demanding of the digital services they use. “Generation Cloud” expects to get the services they want right on time, love comparison tools that allow them to get the best price and value for these services, and discard any notions of mass segmentation in favour of highly personalised and targeted buying experiences. Serving these customers effectively means overcoming a number of collective blind spots that persist within telecommunications. Operators must specifically answer a number of nagging questions: How do we win the hearts and minds of consumers in the digital era? How do we effectively monetise new digital service opportunities? With whom should we partner to reduce friction and enable faster speed-to-market and time-to-revenue? 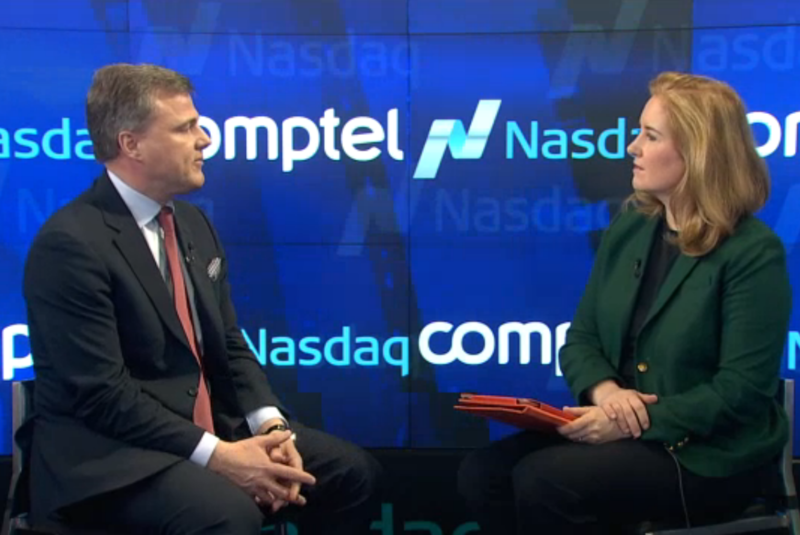 Kelsey and I discussed how Comptel has repositioned itself over the past several years to better tackle these questions on behalf of our customers. We want to embrace the principles of Operation Nexterday, and our biggest strategic objective for the next few years is to better connect digital supply and demand, so our customers can turn emerging service opportunities into the “perfect digital moments” for their end users. Transforming these perfect moments into revenue-driving business moments will allow operators to develop stronger relationships with their own customers and reach greater heights. The entire telecommunications market is steadily moving toward a type of network infrastructure that Comptel has long embraced: software-defined networks (SDN). We have traditionally provided software that allows operators to manage resources in the network and now in the cloud, and as a result, we believe Comptel is uniquely positioned to support the industry’s larger transformation now and in the future. A big determinant of operator success in the coming years will be in their ability to turn intelligence into opportunities in real time. Having intelligent fast data will become critical. We’ve been a Big Data company for 27 years – Comptel currently collects 20 percent of all mobile data worldwide – which puts our company in a position to address that massive amount of data and provide analytics and other services on top of that. I very much enjoyed the opportunity to chat with Kelsey about the unique challenges and opportunities that face not only Comptel, but telco as a whole. As Comptel sees it, every significant industry trend boils down to the need to eliminate inherent complexity. We want to leverage our expertise to reduce friction points and make it easier for operators to give their customers exactly what they want at the right time on the right device, and earn revenue while doing it. We think focusing on simplicity is the right course of action as telco steers its way through the perfect storm of consumer, technology and service trends. Enterprise customers desire an easy way to purchase and even re-sell digital services, but operators are missing out on this opportunity because they don’t offer an intuitive and engaging digital buying experience, according to a recent report. ICT Intuition and Coleman Parkes Research released the results of its “Enterprise Multi-Client Study,” which surveyed more than 1,000 global business leaders across a variety of industries to better understand what enterprises want from connected digital services offerings – as both users and potential resellers. These offerings include, among many others, security and IT infrastructure management applications, business insight or data analytics programs and sales management tools. According to the survey, 81 percent of respondents are currently using connected digital services to improve productivity, generate revenue or reduce business costs. Of the 19 percent who are not, all said they are considering these services. On top of that, 71 percent would even like to bundle such connectivity into the products they sell, and among that group, 95 percent said they would want to partner with a digital or communications service provider to achieve this. The report also explored the types of digital services businesses would pursue and their buying criteria. Businesses today largely prefer to purchase cloud and managed services that require minimal upfront development and maintenance, said the report, because they themselves lack the technology expertise and resources to build up their internal IT capabilities. Turnkey connected digital services are, therefore, the preferred choice among many business buyers, especially if operators are able to help with implementation and development. Additionally, enterprises don’t necessarily need digital services that integrate with legacy systems, as they are happy to replace existing IT applications with faster, better technology, according to the survey. Ultimately, the chief revelation was that enterprises are much more comfortable with digital services than previously expected. In fact, as Ruzicka writes, businesses today desire the same advantages and experiences that digital services offer consumers – if only operators would make it easy for them to partake. One big difficulty is that many operators currently lack a simple digital platform through which business customers can quickly search for and purchase digital services – something similar to the mobile app store experience consumers already enjoy. That’s an experience operators will need to develop, something that can be achieved through next-generation operations and business support system (OSS / BSS) solutions. The insights drawn from such a platform can also inform future value-add services and revenue opportunities, thus fuelling future growth. Ultimately, enterprises are ready to start talking about digital services, if only their operators could get on board. Savvy digital and communications service providers that embrace forward-thinking technologies stand to benefit in a big way. Get a copy of Operation Nexterday for additional survey findings, insights and analysis. For some digital and communications services provider executives, the Big Data trend has been a big disappointment. Operators were entranced by the idea that rich data analysis can reveal targeted insights that drive more revenue, but not every telco has seen its analytics investments turn into real business results. That has created some noticeable Big Data frustrations. Research firm Gartner tracks market enthusiasm for emerging technologies with its “Hype Cycle,” and last year, Big Data moved from the “peak of inflated expectations” to the “trough of disillusionment.” While that sounds bad at first glance, it really means that businesses are moving beyond the stage of unrestrained expectations and instead starting to ask practical questions about how Big Data can actually solve their problems. This more realistic view of Big Data means that when a project falls short of expectations, results-oriented executives may be less forgiving of the entire premise. But, is a lack of ROI an indictment on data analytics as a whole, or is it more a reflection of poor execution? At Comptel, we argue it is the latter. As my colleague, Malla Poikela, wrote in a recent piece for LinkedIn Pulse, the most common hallmarks of a poor-performing Big Data initiative include difficulties accounting for every new raw data source and then turning all of that data into real-time contextual decisions and actions. Successful programs rely on relevant actionability. Relevance comes from identifying contexts in real-time data, implying specific needs and employing predictive analytics to optimise target selection for those needs. Actionability is achieved through an end-to-end, integrated, real-time process that connects data streams through analysis to action. It’s not about Big Data. It’s about Intelligent Fast Data, and it’s the only way to treat information at a time when technology empowers consumers to make informed buying decisions faster than ever and complexity grows in multiple dimensions simultaneously. What are the benefits? With better understanding of existing customers and their preferences, operators can cue up the personalised service offers that customers want at exactly the right time on any device. It’s real-time marketing, driven by in-the-moment analysis, which leads to instant revenue opportunities. More generally, Intelligent Fast Data can be considered a process that constantly monitors various forms of digital demand and connects that demand with available digital supply, be it a subscriber needing faster bandwidth temporarily to watch a video on demand, a network requiring additional capacity from virtualized packet core functions or supplying a service desk with a data feed from temperature sensors in a connected home. Here’s how operators can start to make the switch from Big Data to Intelligent Fast Data. One of the downfalls of traditional decision-making system implementations has been a sole reliance on rules-based infrastructure. This form of analytics provides recommendations based on a set of pre-determined rules, but the challenge is that such a system might not be very accurate and can become overly tedious to manage as the number of rules increases. Rules or logics are important decision-making capabilities, but just like in human decision-making, they often need to be supplemented with capabilities such as pattern matching, predictions and anomaly detection. Intelligent Fast Data enables just that: the embedding of machine-learning-driven advanced analytics capabilities into decision-making. If Insurance, a property and casualty insurer, took this approach to revamp its insurance claim analysis. If stepped up its automation capabilities with an Intelligent Fast Data system, which automatically learns patterns of insurance claims and flags normal claims for automatic processing, while highlighting potentially fraudulent or anomalous claims for further inspection. With the Intelligent Fast Data system the company was able to further reduce manual claims processing work and triple its number of accurately processed claims. By embracing Intelligent Fast Data (i.e. decision-making automation with embedded analytics), digital and communication services providers can speed up and enhance the process that turns their data streams through analysis and targeted actions into new revenue streams. Another obstacle that could be holding back your switch to Intelligent Fast Data is a phenomenon known as “data wrangling.” According to the New York Times, data scientists can spend 50 to 80 percent of their time and talent essentially prepping data for the analytics process. It’s busywork, and it means you could be taking far too long to turn customer data into action. To eliminate time-consuming data cleansing and enable faster time to action, a flexible and agile data processing layer is required, particularly one with the ability to integrate information from any digital source, then automatically cleanse, normalise, enrich and transform the data into ready data products and actions, which are consequently delivered to the systems with specific demands. Such a data processing layer must have smart adaption capabilities so that is able to cope with changes in data streams and the addition of new ones without data wrangling. Changing how you integrate and process data is step one to drawing more value from Intelligent Fast Data investments. However, operators also need to eliminate any potential roadblocks to realising revenue from the insights data provides. This sometimes requires creative solutions. For example, Indosat, one of Indonesia’s top mobile operators, needed to find a way to monetise mobile revenue opportunities in a country with one major roadblock. Despite being home to more than 250 million residents, only 8 million people in Indonesia have credit cards. That’s 3.3 percent of the population and 7.7 percent of the country’s sizeable base of smartphone users. Smartphone users in Indonesia can’t simply purchase apps and services on their phone from a stored credit card like consumers elsewhere. However, a creative solution – direct carrier billing for the Google Play store – enabled Indosat to offer its consumers the same purchasing experience smartphone users worldwide enjoy. Removing this obstacle opened up a new revenue channel for Indosat, and as the operator collects customer app usage data, it will be able to refine this information into insights and actions that drive even more financial benefits. Intelligent Fast Data, ultimately, allows operators to profit from a wealth of Big Data. Want to learn more about how Intelligent Fast Data can help you draw more value from new and existing customer relationships? 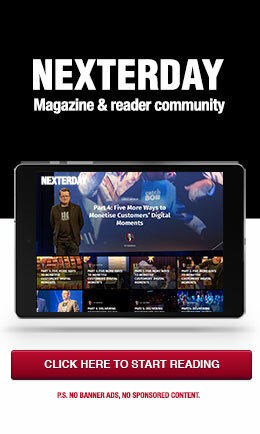 Download our new book, Operation Nexterday, for expert research and insights.